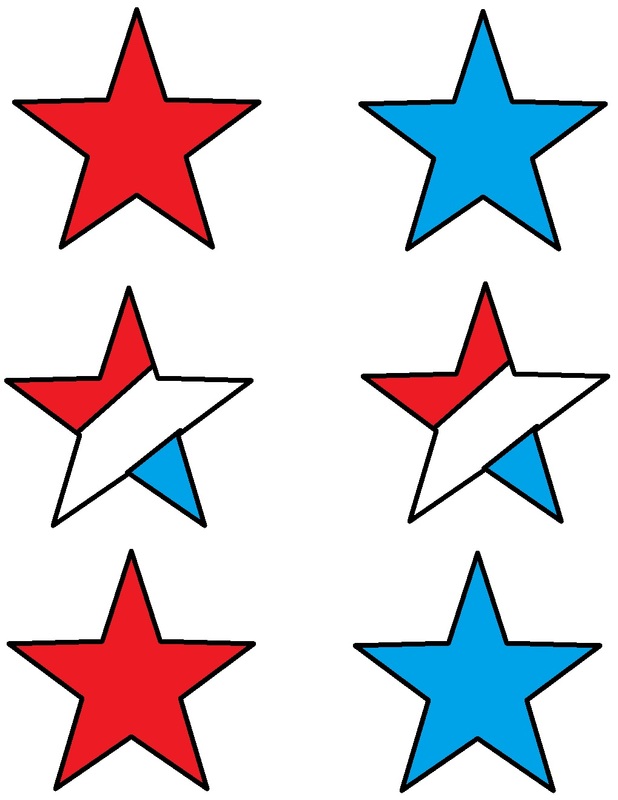 Print the star template out. Cut the stars out and lay them aside. Take your paper plate and cut the middle out. Tape or glue your stars around the paper plate. Take a plastic bowl (we used a cool whip bowl) and cover with tinfoil. Now slide your paper plate down on top of the bowl. Take one red pipe clean and bend in half a little and tape to the top of the bowl. Now the kids have a Fourth of July Hat they can wear. 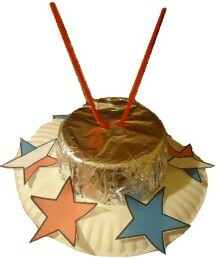 Make this hat to go along with the Fourth of July Lesson we offer.